Ohio State will have all of its CABS vehicles equipped with eight security cameras that also record audio by Sunday. 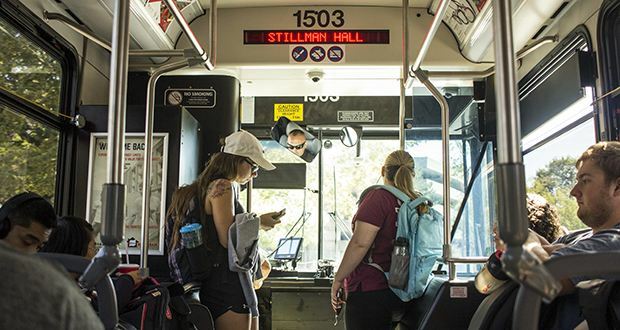 The installation of the cameras — four outside and four inside each of the 50 buses — cost the university $340,000 and will be used in cases of accidents, Beth Snoke, director of transportation and traffic management at Ohio State, told The Lantern in August. Though the cameras are constantly recording audio and video, they will only be used for evidence in the case of an accident or if further information is needed regarding an event that threatens a student or driver’s safety, similar to COTA — Columbus’ bus system — protocol, Snoke said in August. The footage and audio will be stored for one month and then automatically delete to make room for additional and updated recordings. 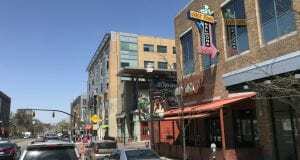 There was no particular event that prompted the installation of the cameras, said Jon Griffith, a spokesman for the Office of Administration and Planning, in an email. He said the cameras will be used to further students’ and drivers’ safety. Although unaware of the audio component of the cameras, Christopher Parsons, a fourth-year in animal sciences and a CABS driver, sees the cameras as a great new addition. Parsons said he sees the practical uses of the cameras to help with not only student safety, but also with his own. “If there is an incident or an accident, we can use these cameras to either help us or help others,” Parsons said. Parsons said he does not believe the cameras are an issue of privacy. The riding experience for students should not change and the decision was made with student safety in mind, Griffith said.